KEEP STRAIGHT ONTO US-22 EAST/WILLIAM PENN HWY. TURN RIGHT WHEN YOU SEE THE MONROEVILLE MALL ENTRANCE SIGN. AT THE STOP SIGN, TURN LEFT. AT THE FIRST LIGHT, TURN LEFT ONTO MALL BLVD. AT THE NEXT INTERSECTION, TAKE THE SLIP RAMP ONTO OXFORD DRIVE. AT THE 400 OXFORD DRIVE SIGN, MAKE A RIGHT HAND TURN INTO THE PARKING LOT. The Monroeville Social Security office is located in Monroeville 15146. The following page includes information for this location like the office phone number, hours of operation and driving directions. If you have any interests or comments about your retirement benefits or are interested in making an appointment, call the following Monroeville Social Security office. 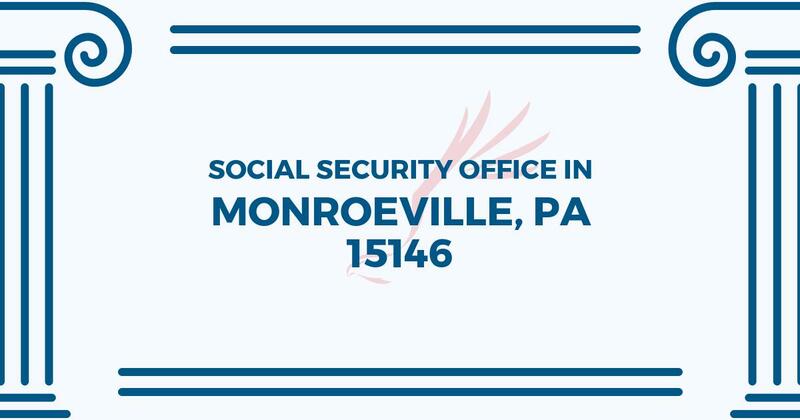 The Monroeville Social Security office is located in Monroeville 15146. The following page provides information for this location like the office phone number, hours of operation and driving directions. If you have any curiosities or doubts about your disability benefits or are interested in planning an appointment, call the following Monroeville Social Security office.